This is a good Yum Cha (Dim Sum) restaurant in Nasu. 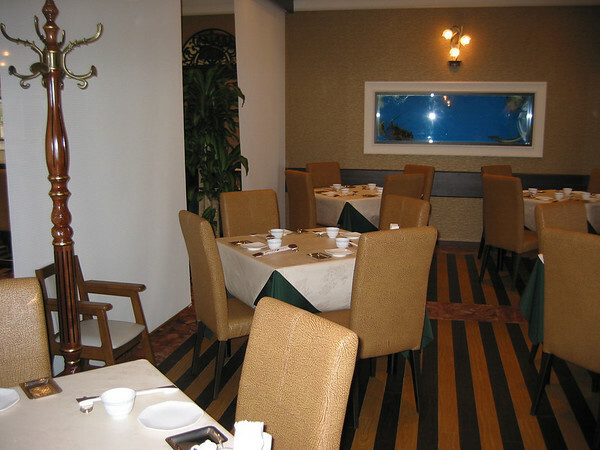 It seems to be a sister restaurant of the Cowherd Restaurant which we have not been to yet. We went for Saturday lunch and it was not at all busy. The interior is very nice. We chose to sit by some big windows, there are areas behind cloth screens and it looked like some private rooms too. They have a picture menu and you can order various set meals or all you can eat from the menu (3000 yen). 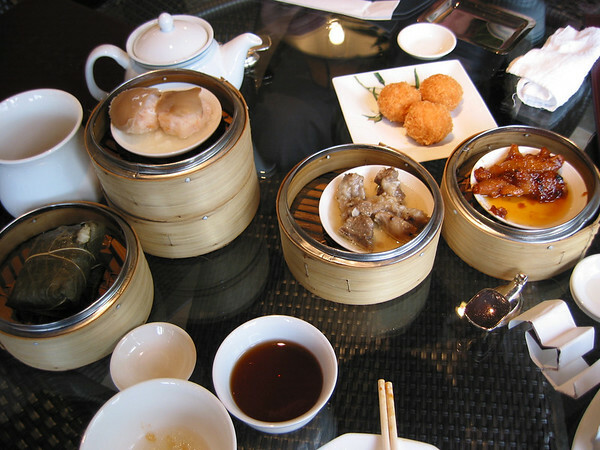 They have most of the common Yum Cha items. When they deliver your food, they bring it on a cart and you can choose other items from the cart then too. The quality is very good. We recommend this restaurant. 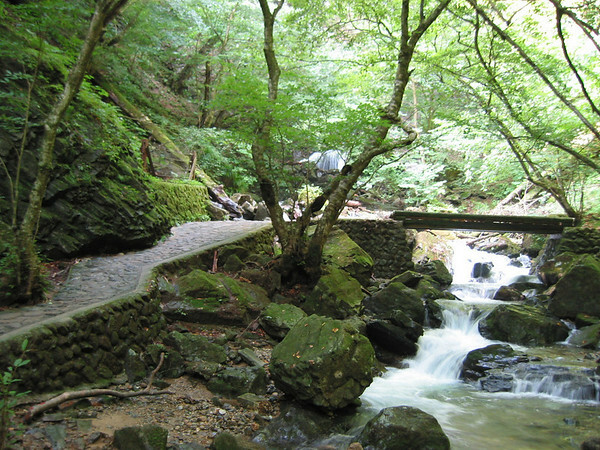 Oya Temple is located a short distance outside Utsunomiya. 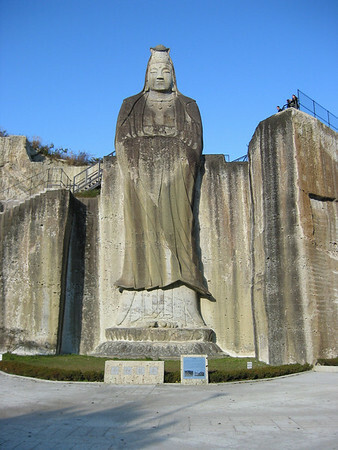 Its interesting because of the giant statue and the underground caverns. As you get close you will start seeing shops selling local rock and various builds made out of it. If I had to guess its not very good rock to make things out of because its very light and porous. But the statue is pretty neat and its a good place to visit. First stop is the statue. If you look closely around the statue you can see areas where big arches have been made and collapsed. 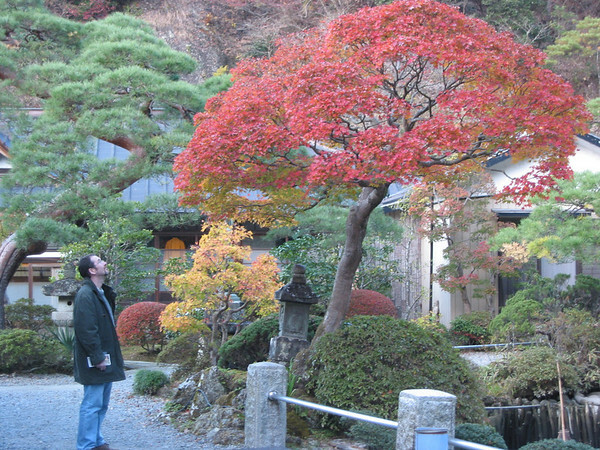 Near the statue is a small temple with some nice garden which you must pay a small fee to enter. There is a very old human skeleton that they found in the area on display. Some distance away is our favorite part. 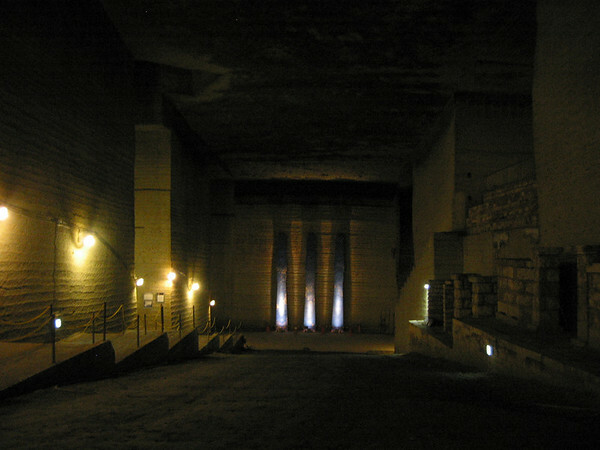 Huge underground caverns made when the excavated rock in the area. Also there is an interesting display where you can compare the local rock with other kinds of rock. Its a good area for a short visit if you are in Utsunomiya. 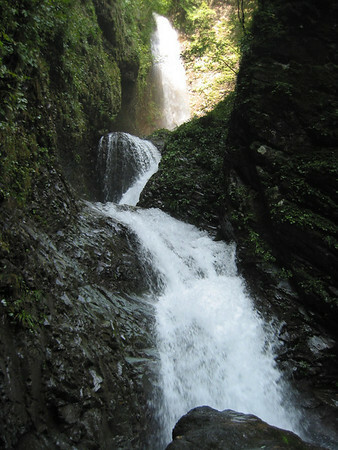 In Shiobara there are a number of onsens that are not part of a hotel or onsen house. They are just sitting there in public space. 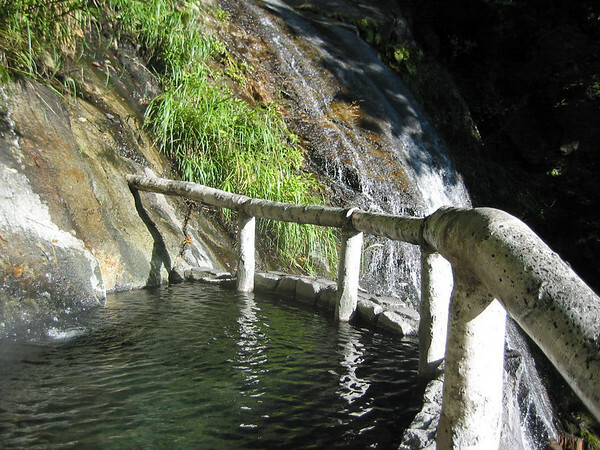 Sometimes you will be walking along a track and you will find a hot spring sitting there. So far all that we have seen have a little money box where you can deposit a small amount of money for using them. Our favourite is at the Northern end of Shiobara across the river. Its in a beautiful location by the river. Its mixed and not very well protected from viewers. The autumn colors are out in force in the mountains now. Mt. 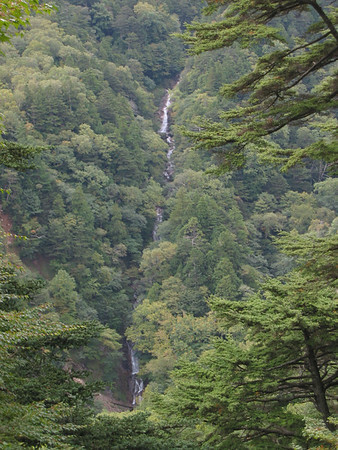 Nasu is very beautiful though we've had horrible luck with the weather on two visit. 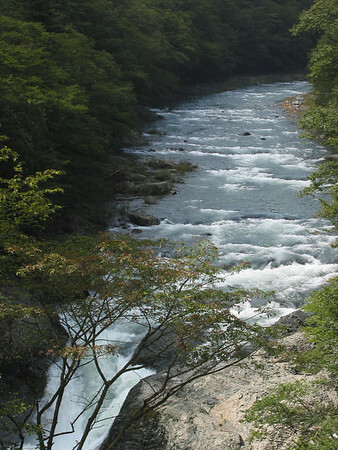 This article is about a driving trip to the Shiobara/Nikko area that starts in Nasushiobara. We did the trip in late October and the colors were beautiful but only in the higher altitudes. We started out driving Northwest on route 400 up into the Shiobara area. We travelled through this area pretty quickly because we know it well, but if you haven't been here then there is lots to see and do. You might consult our map if you want some ideas. We drove into Shiobara Town and then took route 19 southwest. We took a short side trip to Swamp Lake (there must be a better translation than this Japanese to Chinese to English one) to check out the autumn colors. That colors around the lake and nearby mountains were just magnificent. There are lots of nice onsens in this area if you want to stay longer, but we kept going. Return to route 19 and short while later the toll road starts. The views were beautiful the whole way and some of the ski resorts have really beautiful grounds at this time of year. The traffic was heavier than usual weekend traffic but never got slow. The toll road empties out onto highway 121. We headed north through some really lovely country along the side of a river. Then we joined up with route 400 again now heading Southeast back towards Nasushiobara. The whole trip took the best part of a day of slow driving with lots of stops. This is an unusual article for this blog. Today is Blog Action Day. This years topic is the environment. What can the audience of this blog do to improve the environment? Many people, including pretty much all the scientists in the field believe that our CO2 emissions are having a major impact on our weather now. And that even if we greatly reduce those emissions right now, its going to keep getting worse for a while before it gets better. Remember how exceptionally hot it was this summer? Its probably very likely that the people who read this blog have fairly high CO2 footprints. Thats because most of us probably travel a lot. Thats probably one of the most significant contributions to carbon emissions we can make. We probably also encourage our friends and family to travel to visit us too. Lots of long haul travel is definitely not good for the environment. So there is a big opportunity for us to save here. There is a strong temptation to go home for the holidays. How about spend that time looking around Japan? Most of us will go home in the future and perhaps regret not really seeing Japan as well as we could have. Lets really explore it while we are here. Japan has a great rail network that we can use to visit even far flung parts of the country more cheaply than flying overseas and with much less environmental impact. We can also cut our emissions by living close to work. We can walk or ride a bike instead of going by train and go by train or bus instead of driving. Because many of us are visitors we have a lot more choices about where we live and how we travel. Next we can watch what we consume. First of all lets consume less. Actually buying a lot of stuff here probably doesn't make much sense anyway because we'll only have to pay (and pollute) to ship it back. Another thing that has a pretty big impact is all those imported things we like. How about explore local food instead of imported food and swapping books with your friends rather than buying them? Finally, buy efficient products. Get fluorescent bulbs and if you must buy a car get a nice small one with a small engine or a hybrid. As you know in Japan daylight savings is not observed. So in summer we get all that extra daylight in the early morning. We changed our hours anyway. We switched our routine and got up at 5AM and went to bed at 9PM, as a result we had the lights on one hour less than we would otherwise have done. Japan is pretty good about restricting heating and air conditioning (some say too good!). This is a very good thing. Remember, when you turn on your aircon you are only contributing to an even hotter year next year. Using your heater does the same thing. At the very least try to rug up when its cold and dress light when its hot. But I'd suggest resisting those devices whenever you can. It was a big surprise to me how bad the local environment was here in Tochigi. There is rubbish on the road, rubbish at tourist destinations and rubbish on the walking tracks. (we don't normally highlight than in this blog) Here's a local story. Every night my wife and I walk around our block. There is quite a bit of rubbish along the way. So on one Saturday afternoon I took a bag and started picking things up. At first I was a little embarrassed doing it. I ran into one of our neighbours who decided to help us. The next day another neighbour was out picking things up. Our road is cleaner now and I met a neighbour I probably wouldn't have otherwise met. Now I do the same thing when I go walking in the mountains. My next project is to do the same on the road up into Shiobara. There are some very horrible parts there. It will only take 1/2 an hour and it will be a nicer place because I was here. Lots of people are waiting for the government to take action or for somebody else to start cleaning up. The fact is probably everybody who reads this blog pollutes more than the world average. The thing we can do right now to make things better is to cut our own pollution. How about we start today? Saeka Onsen is a very nice onsen close to Nasushiobara. It has a beautiful mountain view from the outside pool. This onsen is recommended. The view from the bath. Its open until 10PM so it would be possible to go there after work. I don't think you can stay the night there its just a day visit place. A beautiful onsen by the river. There is a semi open hot bath overlooking the river. According to some people we met the water is very good here. Its slightly milky and a bit yellow and sulphurous. We felt great after a soak here. So far this is our favourite onsen. Very comfortable and relaxing. You can stay the night at this onsen in the hotel or you for 800 yen you can visit. They open nice and early at 8AM. 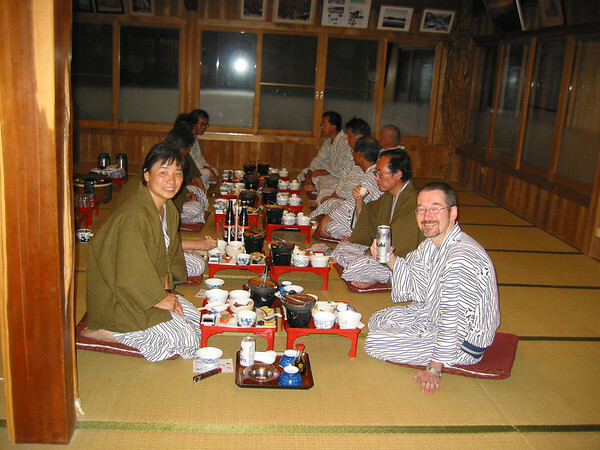 There are a number of other onsens in the area to try out too. This is a simple local restaurant with good food. Its inexpensive. We had set meals of Barbequed Fish and Tempura with Soba. Both were great and the total price was less than 3000 yen. They have a number of specials made with all local ingredients that are very good. Presentation is good. Service is very slow. Recommended, but next time I'm bringing a newspaper. So far our experiences with Italian Restaurants in Japan have been nearly universally good. They are cheap and very good. Gioia Mia is no exception. We had great antipasto, spaghetti, prawns and dessert on the set menu at lunchtime for a price of 4500 yen for two. The service was friendly and quick. On the weekend its busy. I'd suggest you go early or late unless you like waiting. Also don't forget to bring your katakana cheat sheet. There is English or Italian text on the menu. This map picture will serve you much better than the google map above once you get close. There are two carparks. The first one must be very useful when the flower gardens are in bloom (reportedly quite beautiful) and is close to the tent site. 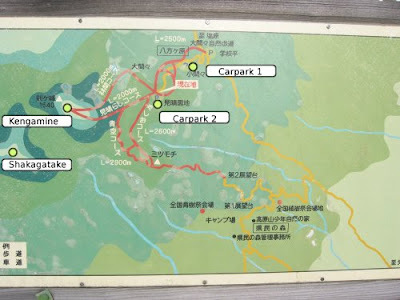 The second carpark is the one where you should park if you want to climb the mountains in this post. There are shorter walks between and around the carparks that are quite nice. Kengamine is about 2 1/2 hours return. Its a beautiful walk through green forests with great panoramic views (its _frequently_ cloudy). There are two tracks from the parking area so you can walk up on one path and back down the other. There is a pretty little temple in a rocky area about 1 hour walk in which you may assume to the top but actually the top is a little way further. The temple is the most beautiful part and the right place to stop for a meal if you plan to stop. The temple is also the place where the two tracks from the parking area meet up. 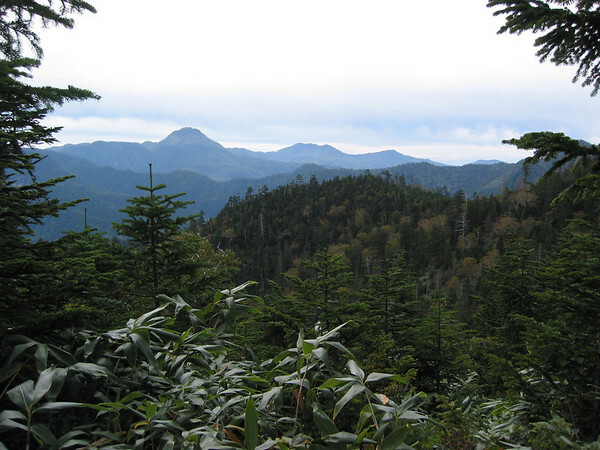 After Kengamine the walking gets a bit harder on the way to Shakagatake. We thought it would be a nice short walk. Its not. The return walk is probably a bit over 4 hours from the carpark. Also the maps along the trail are not that good. There will be two unexpected junctions along the way. Just turn left at both junction on the way in and you will get there. Apparently, there is a shorter way to get to Shakagatake but we don't yet know where that starts from. So now we have a project to get to know Shiobara better and visit a lot of Onsen in the area. This is an excellent walk. I can't locate this place accurately on Google Maps. Drive up the river on highway 400. Park in the carpark on the left before the first tunnel at the sign shown below. If you go through a tunnel you have just missed it. This corresponds with the downstream/right hand yellow dot on the above map. OK. Now its easy. Just walk down the hill, cross the suspension bridge and turn left and you will be on your way. 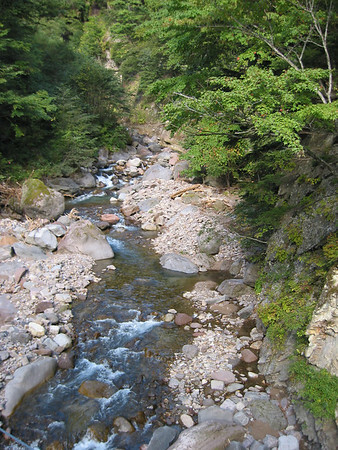 (the path loops around to the right and you will be walking upstream. The walk is only 3.3 km., but its pretty steep and hard going. It starts off with a suspension bridge with great views. Then continues through beautiful rain forest. There are fantastic views of the river all the way along and a good waterfall at the end. Actually there is a nice picnic area at the end too. The downside of it is that once you complete the walk there are only two reasonable ways to get back to the start. One is to walk the return path which is a bit of a slog. Or you can walk back along the road. We chose the road and it was quite horrible but much faster. The traffic was especially intimidating on the narrow road. Next time I think we will walk the longer way. My admiration of Japanese elegance and love of beauty took a bit of a dent with the amount of rubbish that had been left by the side of the road too. Afterwards we went up to our first main Shiobara onsen. We visited Green Village Onsen (Map Location). It was OK but nothing special. Then we walked along the river a bit and found some real outdoor onsens along the side of the track. You still have to pay to use them, but they are really very attractive. They are however mixed (only men there today). This is a nice little art gallery. You can easily spend a couple of hours here looking at their great display of wood prints. The museum is dedicated to Utagawa Hiroshige and his contemporaries. There is a shop there where you can buy some prints too. Thats where we went to get our famous Hokusai (a Hiroshige contemporary) wave print in the 36 views of Mt. Fuji series. Also there are art classes there sometimes too. I don't know the details, but we happened to be there once when there was one on and our friend was on the course. He made a nice wood print which he showed me later. I'm not sure how one we get into the class. 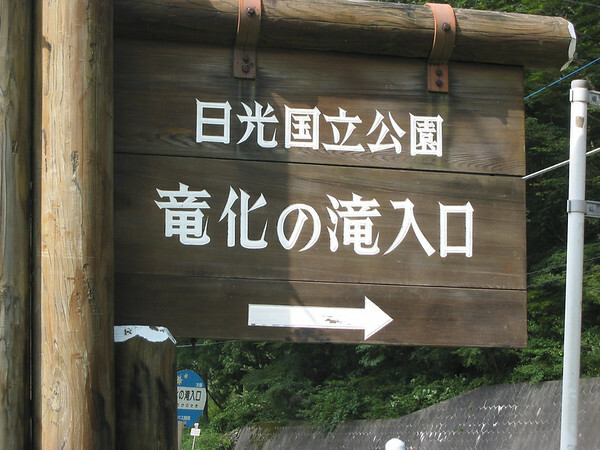 Our Japanese is almost certainly too weak, but Japanese speakers might inquire at the gallery. The building is also quite nice with some nice little gardens out the back. Also you can walk up the hill behind the gallery and there are some walks you can do through the forest. There is also lots of pretty scenery around here and a nice pottery shop that I will post about later. This is a great soba and udon restaurant with real character. Its very near Nishinasuno Station. First of all its small and its popular, so don't be surprised if you have to wait. The room is very small and cramped. Everything is old. There are only 5 menu choice, which are printed on small sticks on the wall. There is only one person taking orders (and one cooking). Smoking is permitted. It only open for lunch. The food is very good. The prices are low. What can I say? Great food, great atmosphere. The only downside is if you don't like people smoking near you, you might get unlucky and have to endure that (1 in 4 times for us so far). You should try this place. After our great trip to Sandogoya we decided to try another overnight Onsen Hotel this weekend. So we headed up into Shiobara to climb our own local Mt. Fuji with plans to stay overnight. Its a bit hard to say how good this hotel was since we don't have much to compare it with. We were recommended a local hotel by some people we met on the walk, but the price of 6-8000 yen a head made us think the meal might not be that good so we opted to go a bit more upmarket. We checked in at The Cloudy River Hotel (rough translation). The price of 16,000 yen a head was a bit high for me, but we had a special event to celebrate so we splashed out a bit. At first I was a bit disappointed, the hotel was clean and neat but it felt in decline. The onsen was nice but not sensational. The people were very nice. And when dinner arrived (and kept arriving) I revised my opinion. It was a really good dinner. There were male and female onsens, plus two little private rooms about the right size for a couple. In one of the private rooms the water was too hot for us to get in. We preferred the private room but if the hotel was busy it might be hard to get into that room. Our room was nice. Judging by what I have seen on TV it was fairly standard for a ryokan room. Our dinner must have had at least 15 little dishes. They were all excellent, the highlight was a little beef barbeque. The sashimi and tempura was also very good. I enjoyed breakfast too (though I am not a big fan of Japanese breakfasts). Unfortunately, we failed to get pictures of dinner. I think I'll reserve final judgement till we have been to more onsen hotels. But it was certainly and enjoyable weekend away. The food and service were particularly good. Up in the Shiobara area there is a mountain called Mt. Fuji. Its nothing like the Mt. Fuji we all know. 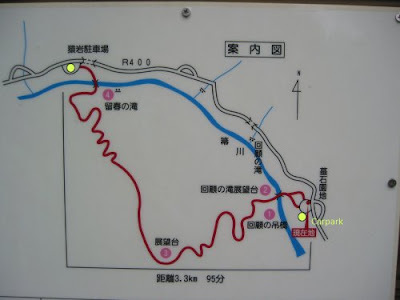 Its a nice walk, but frankly, I'd recommend Numappara or Nasu or our favorite Yaita walk (not written about yet) before Mt. Fuji. Though it might be very beautiful in autumn I think. We'll be back then to check. so you can see the town and all the roads. The walk around the lake was not possible due to typhoon flooding, but that looks very good for autumn. The walk itself is a couple of hours if you walk right around the mountain. Its green and beautiful. 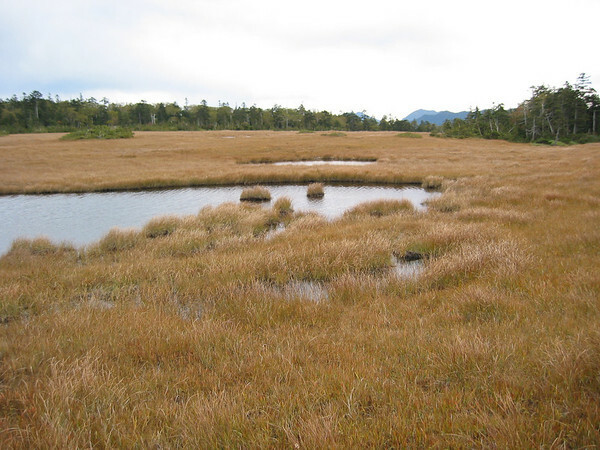 No matter where you start you will walk by town and there is a short side trip to see the marshes. There are a couple of short steep bits but its an easy walk overall. You walk past an area where the volcanic gasses are coming up from the ground. It smells sulphurous. I'll write about our stay at the hot spring hotel in a separate post. The drive from Nasushiobara up to Shiobara and beyond is very beautiful. There is much to explore up there and we have only scratched the surface. Expect quite a few posts about this area coming soon. Unfortunately the typhoon hit the area pretty hard. I have no idea if the rice (much of which is lying down now) will recover. There is lots of water in the river so it made the drive up the valley even better than usual. The waterfall is a short walk starting from the side of the road and following a beautiful little tributary to the main river. Its just a short walk, maybe half an hour. I bet its even better in the wet season (July). The carpark also marked on the Map Link is a bit up the hill from the falls. Here is the sign to look out for. 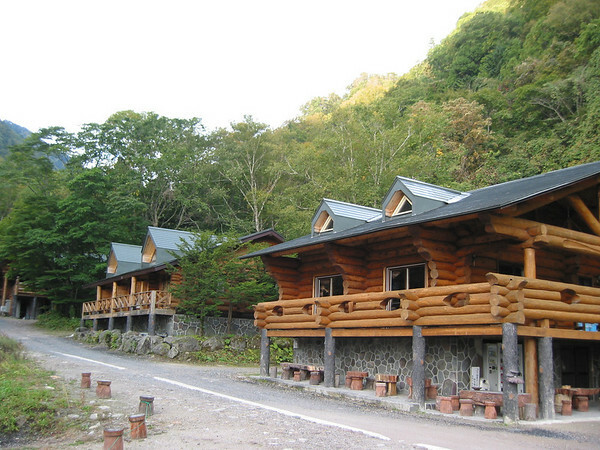 Further up the road are lots of well regarded hot spring hotels. Much further is Hinoemata and Oze (which we will be writing about soon).